Those are the immortal words of the wise philosophers known as the Spice Girls, and local establishments The Windsor Beer Exchange and Green Bean Cafe took them to heart. The two businesses have recently joined forces to bring a taste of the cafe’s newest flavours to downtown Windsor. Green Bean Cafe will be setting up shop in TBX’s kitchen serving up some mighty tasty treats. Here are 5 menu items that we feel will spice up your life. 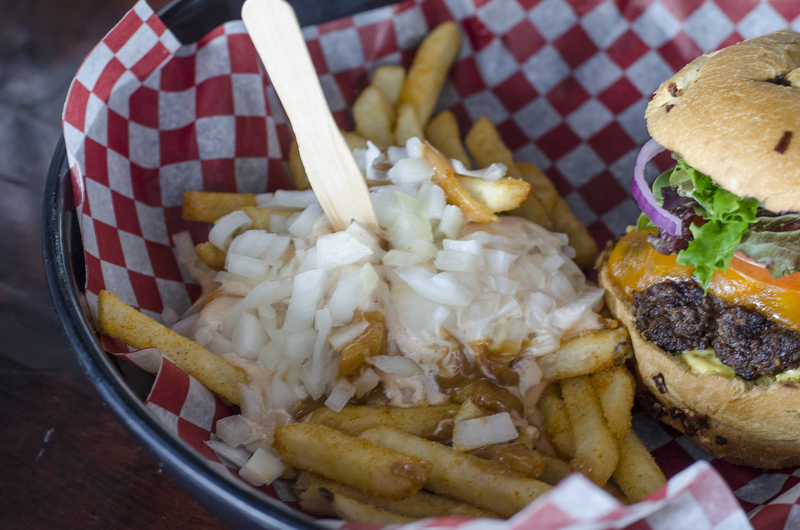 The BBQ Burger at Green Bean setup inside The Windsor Beer Exchange in downtown Windsor, Ontario. If you’re expecting something meaty, this might be something unexpected. 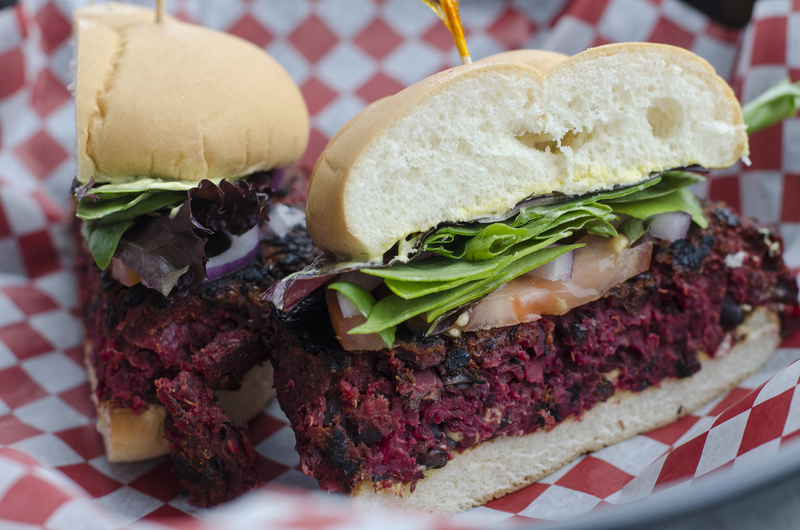 The BBQ in this instance means beets, beans and quinoa in patty form. It’s then placed in a Kaiser bun with Dijon dill vegan burger sauce, lettuce and tomato. Patat Oorlog (War Fries) are the Green Bean Cafe version of “Dutch Fries”. The Dutch are coming! The Dutch are coming…or at least their fries are! Green Bean has an entire selection of different styles of “Dutch fries”, but our favourite are the War Fries. Crispy golden fries covered in Frank’s mayo, peanut sauce and diced onion. So. Freakin’. Good. The Brown Betty burger with a side of Patat Oorlog (war fries) at The Windsor Beer Exchange, courtesy of Green Bean Cafe in downtown Windsor, Ontario. 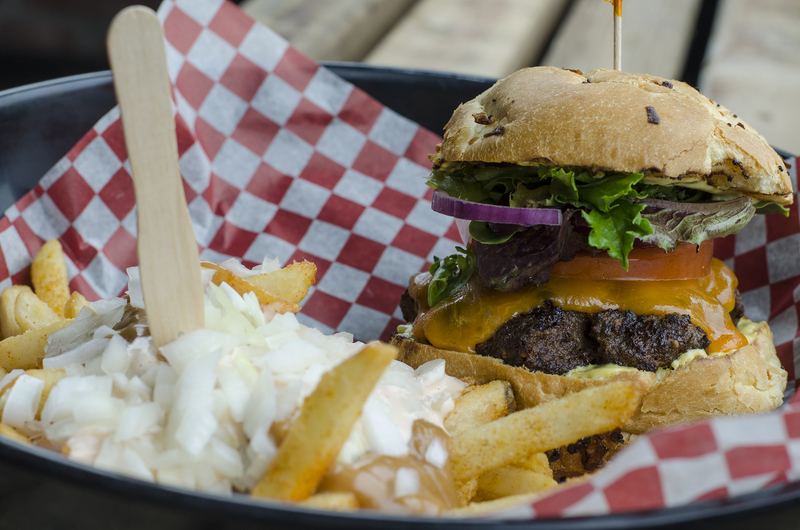 The Brown Betty is your more traditional beef burger, complete with lettuce, tomato, red onion and a Dijon dill burger sauce on a grilled Kaiser. Sausage on the River from the Green Bean location within The Windsor Beer Exchange. There’s nothing more perfect than pairing a sausage with one of the big selection of Ontario craft beers on tap at TBX. 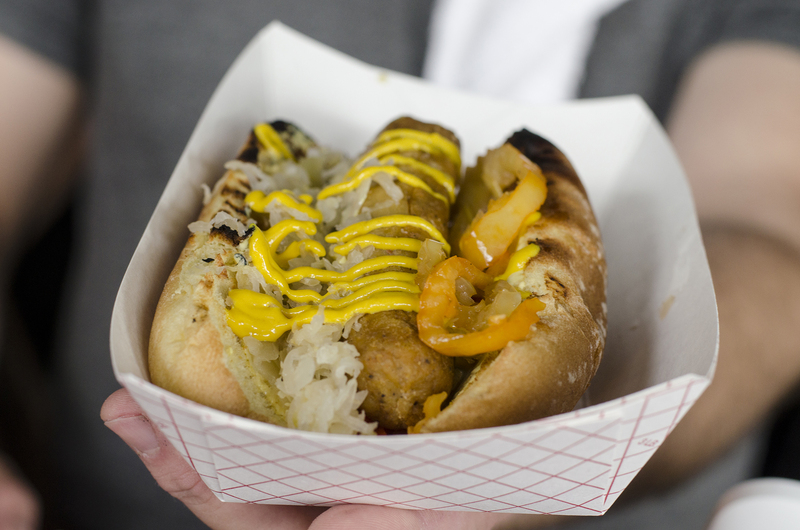 You can enjoy either a traditional German or vegan seitan sausage. Toppings include sauerkraut, onions, mustard and hot peppers. The Ultrasonic Cookie from Green Bean Cafe in Windsor, Ontario. Cookies are my life and this one completes me. 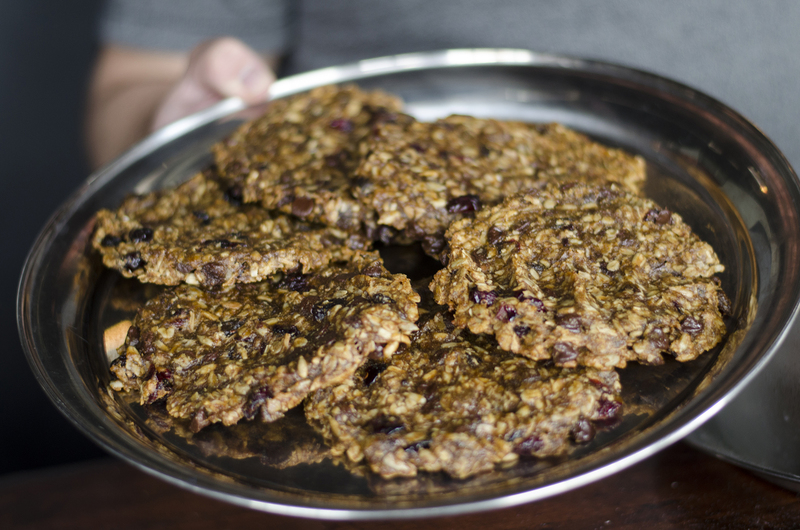 Both gluten free and vegan, these naturally sweetened cookies are packed with dried cranberries, raisins, vegan chocolate chips, coconut in addition to pumpkin seeds and sunflower seeds. Since they’re healthy, too, I don’t feel guilty sneaking a couple extra into my daily routine.